At one million, we thought: Wow, this creator’s got something pretty awesome going on. But 10 million? At this point we’re scratching our heads. How the heck did you DO that? 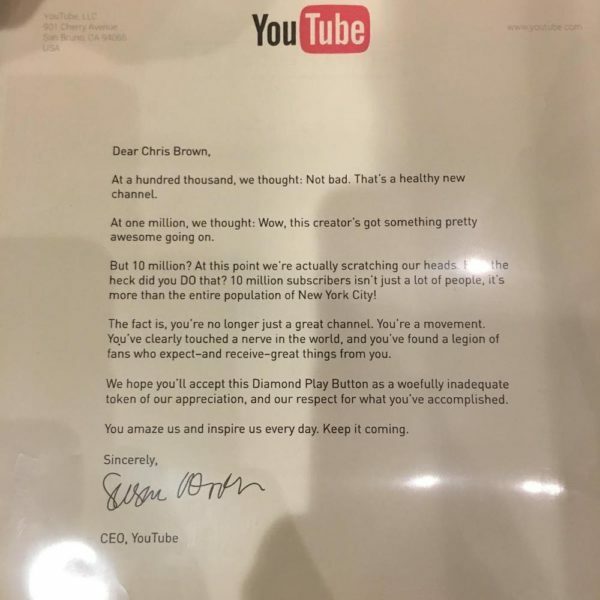 10 million subscribers isn’t just a lot of people, it’s more than the entire population of New York City! The fact is, you’re no longer a great channel. You’re a movement. You’ve clearly touched a nerve in the world, and you’ve found a legion of fans who expect -and receive- great things from you. 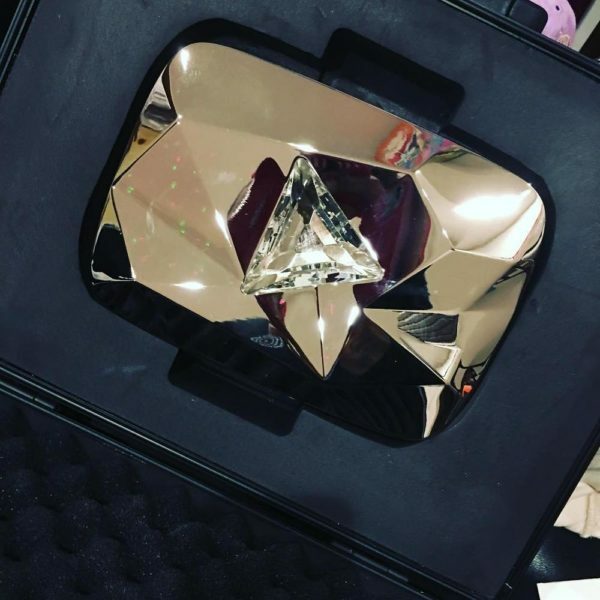 We hope you’ll accept this Diamond Play Button as a woefully inadequate token of our appreciation,and our respect for what you’ve accomplished. You amaze us and inspire us everyday. Keep it coming.